Throughout the year, the Alumni Office sponsors a wide range of events, whether on campus or in cities nationwide. These include reunions, regional receptions, lectures or roundtables on topics of interest, young alumni happy hours, and many other activities. These events are open to all Poly alumni. 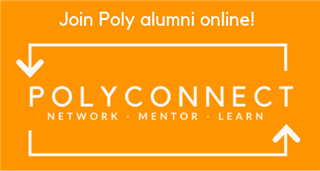 In addition, we often invite the wider Poly community — parents of alumni and former faculty and staff — to join us at selected events and to stay connected with the school and each other. Finally, we encourage you to take advantage of the multitude of public events taking place at Poly during the school year. You are welcome to join us for athletic contests, musical performances, theatrical productions, and more. Visit the Poly calendar for more information about upcoming events. Projects include KIPP NYC, Heal the Bay, Arroyo and Foothills Conservancy, and Families Forward. Read more about the weekend's schedule and register online!